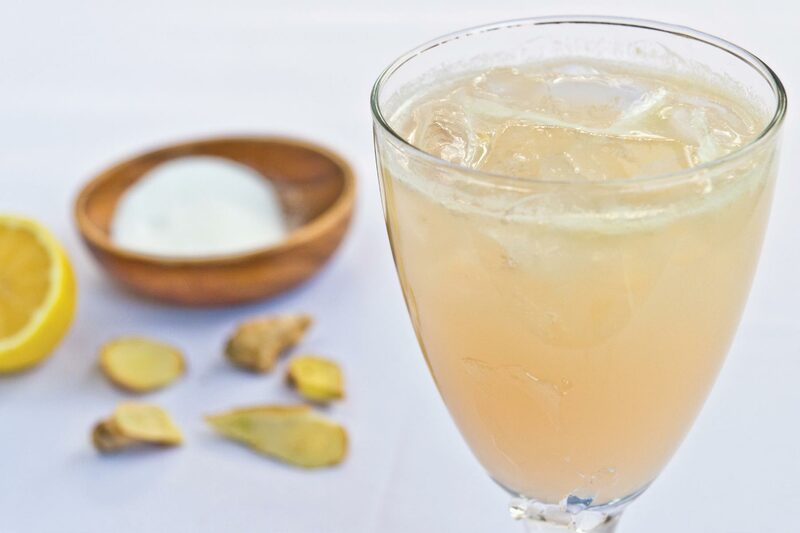 Ginger-Lemon Spritzer – Ornish Lifestyle Medicine™ Approved! 1 tsp – white stevia powder (or another sweetener, to your taste; light agave syrup would be our next choice). To make ginger juice, cut the ginger root into pieces about the size of a cherry and blend with 3 cups water until the mixture is smooth, i.e. without any solid pieces. Pour this mixture into a sieve over a bowl or a bowl lined with cheese cloth. Separate the juice from the pulp and put the pulp aside for your compost. Combine 1/2 cup of ginger juice with 1 quart soda water or still water, lemon juice and sweetener. Place leftover ginger juice in a small container to use within a week. You may also pour into ice cube molds to be frozen and then placed in a freezer bag for future use.